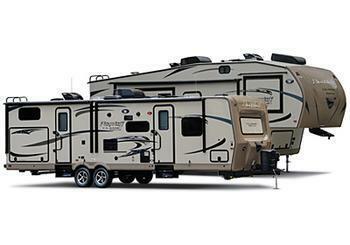 Forest River is recalling 1,077 model year 2018 Rockwood and Flagstaff, and Coachmen Freedom Express recreational trailers and 2017-2018 Palomino and XLR ToyHauler and Coachmen Viking recreational trailers equipped with a Smart-Jack model power tongue jack. The laminated plastic touch pad on the jack may crack or separate allowing water to enter, potentially causing the jack to operate unintentionally. If the tongue jack retracts or extends unexpectedly, there could be an increased risk of a crash or injury. Forest River will notify owners, and a Forest River or a Lippert dealer will replace the power tongue jack, free of charge. The recall is expected to begin March 9, 2018. Rockwood and Flagstaff Owners may contact Forest River customer service at 1-574-642-5164; XLR ToyHauler owners may call 1-574-642-0432; Viking owners may call 1-269-467-4600; Freedom Express owners may call 1-574-825-8205; Palomino owners may call 1-269-432-3246. Lippert Customer service can be reached at 1-574-538-4514 or by email at recall@lci1.com. Forest River's number for this recall is 51-0610.